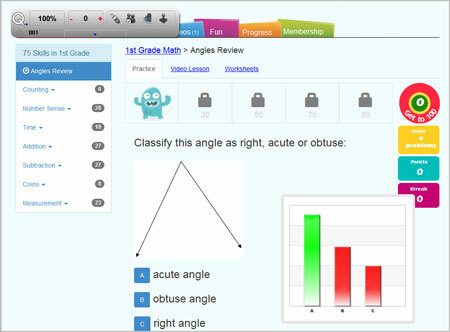 Survey bar allows you to quickly poll your students to assess understanding. A simple and easy-to-use bar appears over the top of any webpage or software application, allowing you to ask verbal questions and collect student responses. Double-click on the Survey icon. Click on OK to begin the presentation. Click to add a new question then select question type and answer. You may need to expand the Survey Bar to see the question options. Click to pose the question. To stop posing the question to the remotes, click the blue arrow to expand the Survey Bar. Then, click . Press the New Q button on the Q5RF instructor, the (6) on the Q6iRF, or the icon on the Q7 tablet. A list of question types will appear on the LCD.